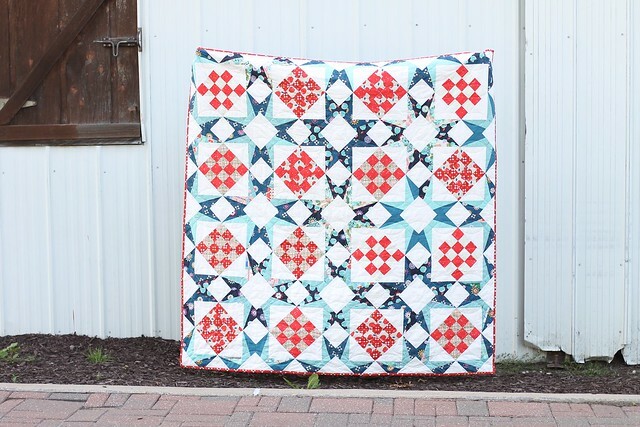 I’d like to introduce you to my latest pattern release, the Jacks Quilt, which is named after the game of Jacks. I never was able to master or appreciate the game, but I thought the pattern itself looked like the toy pieces. 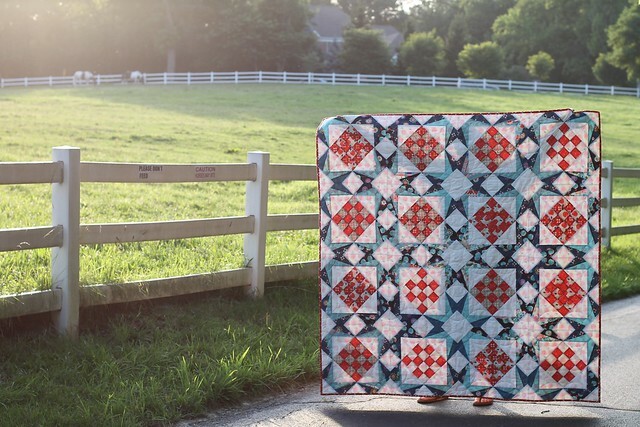 This quilt has a more classic and traditional feel to it. 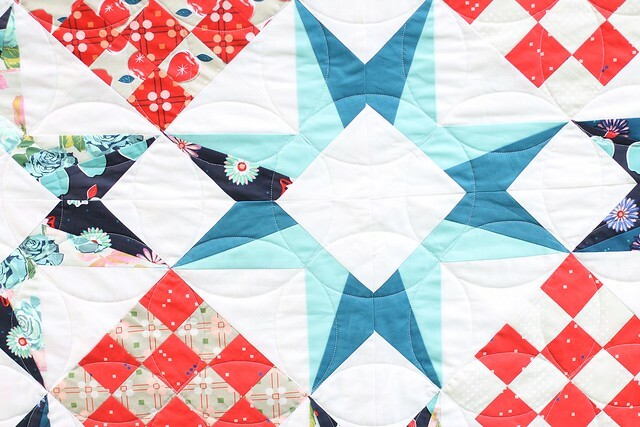 I can’t name a specific block as inspiration, but I think you’ll agree that stars and 16-points are traditional essentials in quilt making. 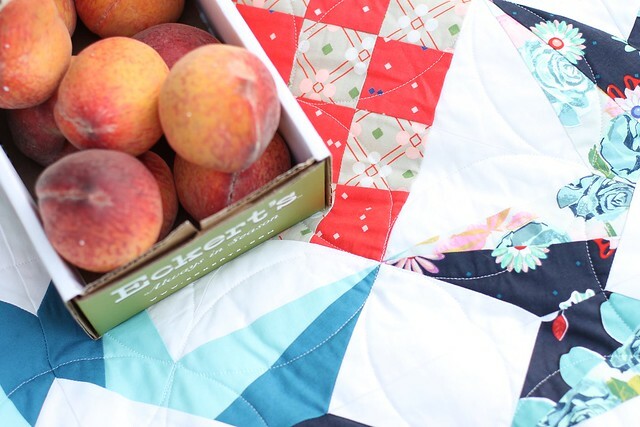 For fabric, I thought Melody Miller‘s Picnic fabric would capture summer perfectly, the apples are so so darling and my favorite print of the bunch. The red in the line is my all time favorite type of red, a retro red. Many thanks to RJR Fabrics for sending me additional fabric to complete my quilt. I also mixed in some of the RJR solids because I love solids in quilts. Sizes include youth, throw, twin, queen, or king. 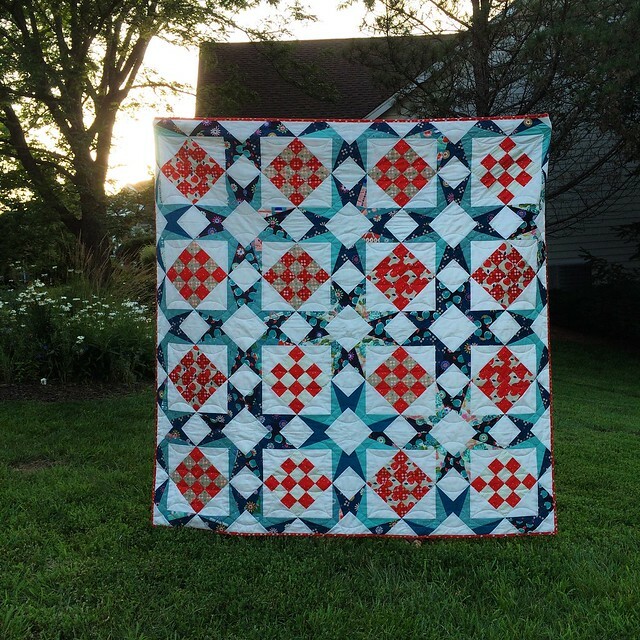 I made the throw size, because there’s nothing like a throw quilt. At least in my opinion. 🙂 The pattern could be used with Jelly Rolls if you have jelly rolls on hand. And I’ve also provided other layout and quilt pattern ideas for you. I’ve also included a coloring sheet. I used my pattern sheet to help decide on my quilting, but you’ll also be able to use it to decide on colors. You can purchase the pattern in my shop, if you are in the EU here’s my payhip shop, or you will be able to get it on Craftsy (sans discount sadly). All PDF patterns are on sale to celebrate my new pattern release – take 30% off of the original price by entering JACKS30 at check out. Now to eat some of those peaches!! Ooh, I love your new quilt! The colors work perfectly. 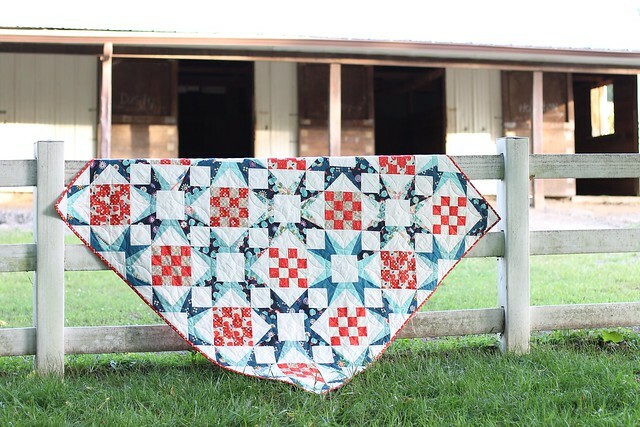 Cool quilt! I have a few of those fabrics; trying to decide what to do with them. I really like them. This is so pretty Becca!